The Governor General's Literary Award-winning author remembers the strangest job she's ever had. 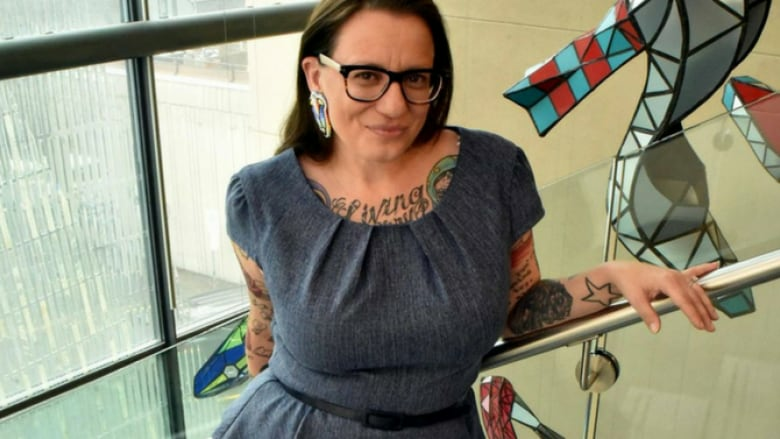 Cherie Dimaline's YA novel The Marrow Thieves won the 2017 Governor General's Literary Award for English-language children's literature and was defended on Canada Reads 2018 by Jully Black. But long before her literary success, a young Dimaline was once a magician's assistant. "​The oddest job I had was the first job I had. I was a magician assistant. My father was a magician in his spare time. I remember spending an entire summer learning how to balance on a sword. The trick is that there's three swords. Two of the swords are incredibly pointy, the third one in the middle is dull, then in the back of your outfit is a small metal bar. You have to have the metal bar exactly on the dull sword and then you have to plank and hold it. I was a young, aspiring gymnast of seven and it took two-and-a-half months to learn how to balance on the sword. It's not on my résumé currently and I certainly could never do it again — I can't even plank on a table for that long." Cherie Dimaline's comments have been edited and condensed.